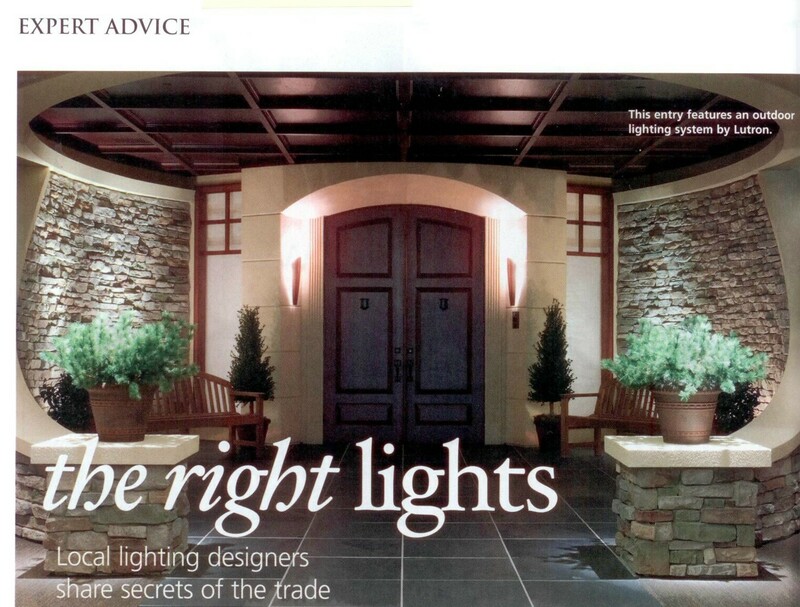 Enlightening (Residential Lighting Blog): Giorgina Schnurr quoted in Home & Design Magazine! Giorgina Schnurr quoted in Home & Design Magazine! I just opened the brand new July/August 2010 issue of Home & Design Magazine, and right there on Page 170 is a fabulous article on lighting featuring our very own Giorgina Schnurr! 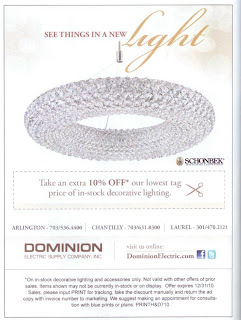 As they say, Giorgina is a senior lighting designer/specifier at Dominion Electric Supply in Arlington, VA with more than 40 years of experience here. She's pretty much taught all of us everything WE know about lighting, and now she shares her wisdom in print! So you'll have to go out and buy it on newsstands! 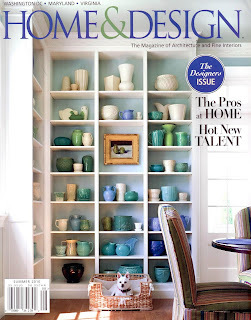 Or come in to one of our locations ~ we should all have a copy. 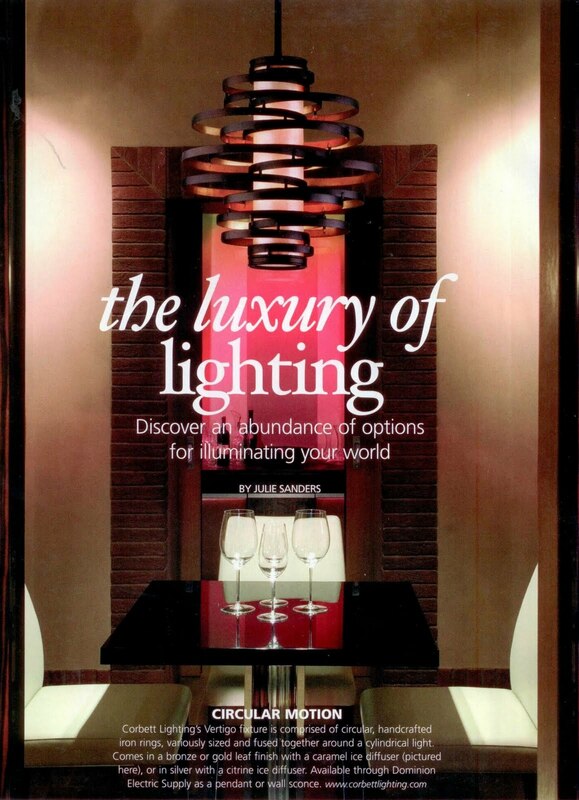 They have another pictorial featuring lighting, and we get a nice mention on the first page of that. I featured this Corbett chandelier on the blog many moons ago. This picture set in a room is wonderful! 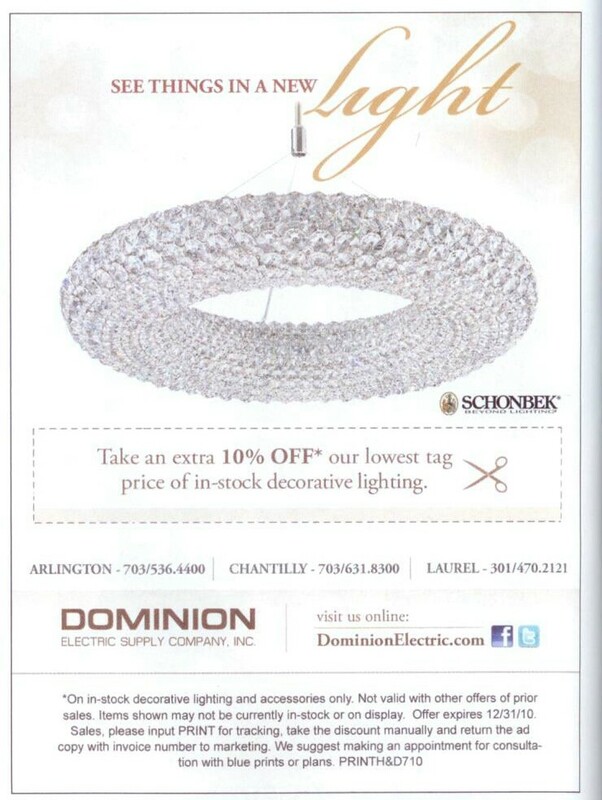 And here is our ad from the magazine. You are always welcome to print it from the blog or Facebook and bring it on in to get the 10% off!